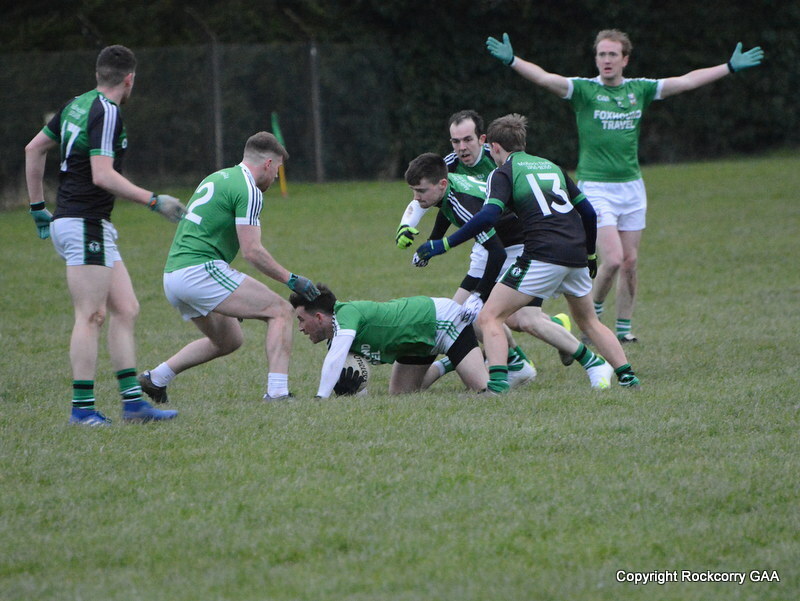 Our senior team played Carrickmacross in the Drumlin Credit Union senior football league last Sunday 6th October and the Carrickmacross outfit emerged as winners by six points in an entertaining and high scoring encounter that was played in slippery but humid conditions. 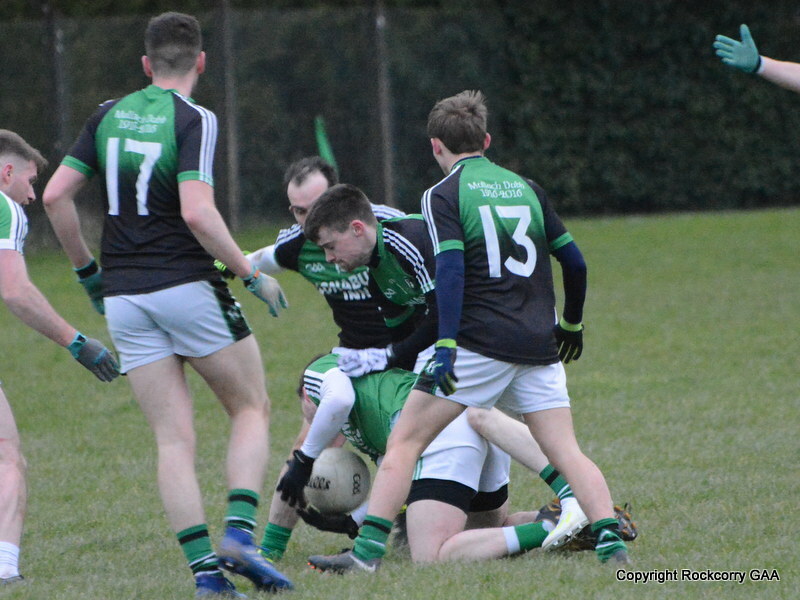 There was plenty of wholehearted effort and attacking spirit from the lads but ultimately, two penalties during the second half proved decisive and the difference as Carrickmacross quickly seized the initiative and opened up a lead that they would never relinquish and secured the spoils on a final score-line Rockcorry 1-17 Carrickmacross 4-14. 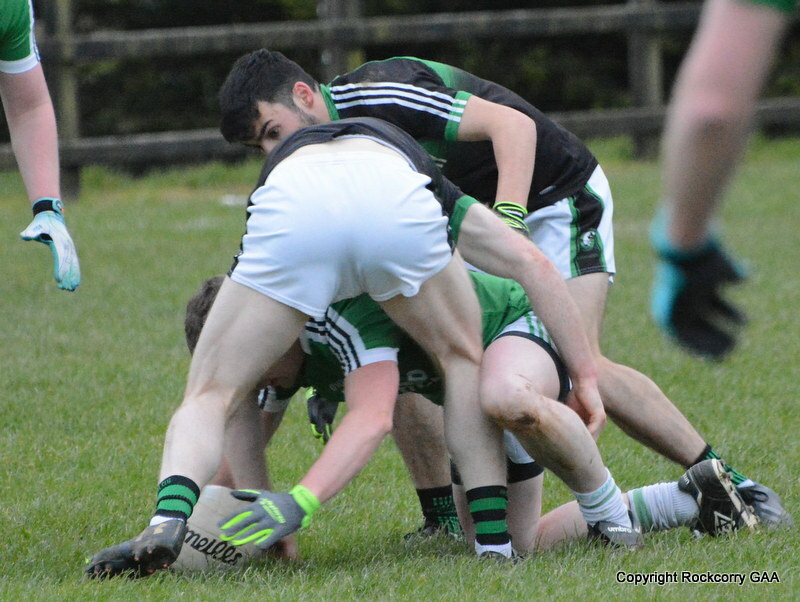 Please log onto www.rockcorrygaa.ie for a full match report and to view a selection of action photographs. 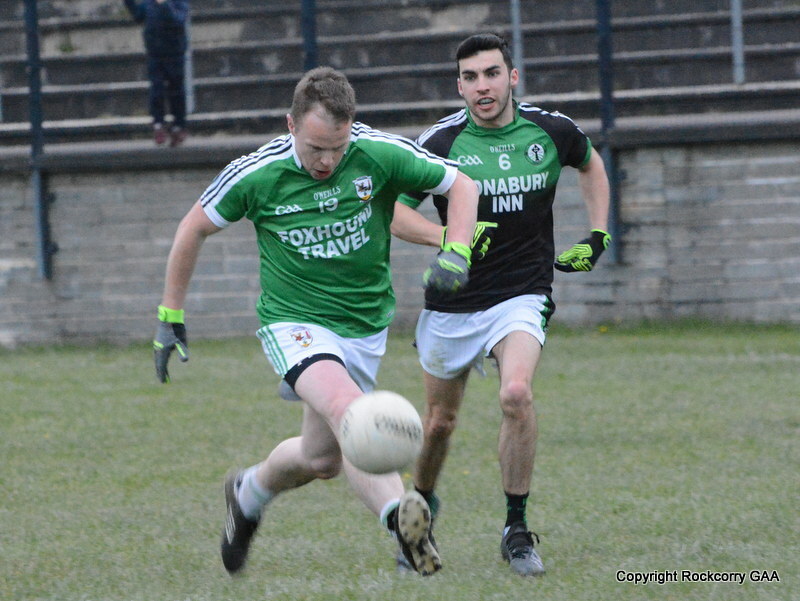 The next outing for the senior team will be this Saturday 12th October when they play host to Magheracloone and the game has a throw-in time of 4.30pm. 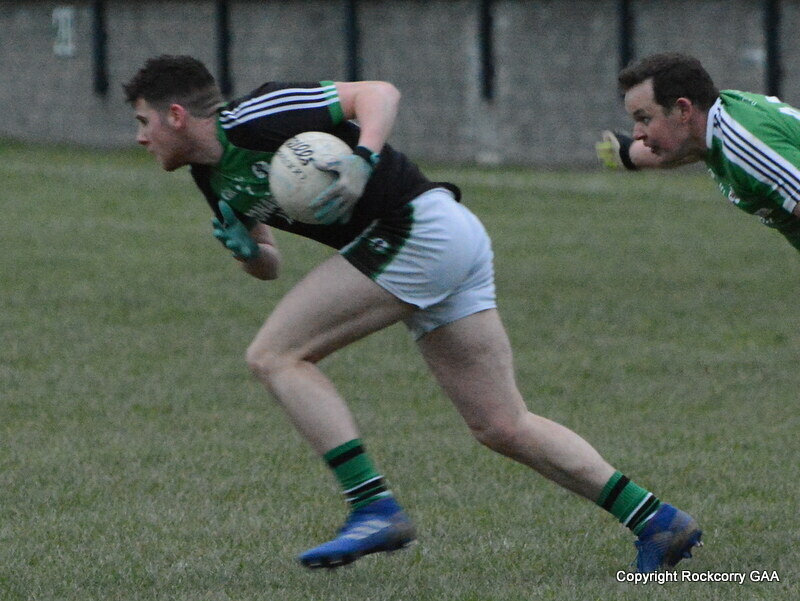 They will be back in action on Saturday 19th October with another home game against Ballybay at 4pm. Tickets are now on sale from all Committee Members for our “Rock Country Night” which takes place this Friday night 11th October in St. Mary’s Hall. We have assembled the finest singers from the village and surrounding areas to perform their favourite Country & Western classics. The following will be performing on the night: Walter Brown, Philip Clarke, Hugh Carroll, Ollie McQuillan, Anita Brown, Emma McGorman, Fionnuala McQuillan, Martina McDermott, Martin McCabe, Brid McCabe, Michael Lawson, and Karen Matthews. Our special guest and Master of Ceremonies will be the legendary Irish country singer Gloria. No other night does it like “Rock Country” so c’mon y’all, get your honky-tonk butts there on the night for a good darn time. Yeeeeee haaaaaaa!!!!!! Our under 12 team have been invited to play in Cremartin tournament that takes place this Saturday 12th October between 11am to 1pm. The winning semi-finalists play for the cup while the beaten semi-finalists play for shield. All parents are requested to meet at the dressing-rooms at 10am to make arrangements for transport. The numbers drawn on Monday 7th October were 1, 6, 19 and 22. There was no jackpot winner of €5,100. The following won €15 each :- Noel Craven, Clontibret (Yearly Ticket), Lisa & Sarah Sheridan, Rockcorry, John Quinn, Rockcorry, Tina & Megan, Rockcorry, Tina & Kyle, Rockcorry, Mick Brady, Newbliss, Peter Kierans, Aghabog, Gerry Murtagh, Smithboro. Next week the jackpot will be €5,200 and the draw will take place in the Maple Bar. Thank you for supporting our Top 4 lotto draw.